Last time, we have taken a look at the top 30 tips of puppy training. But think again, many of us also likes to raise kittens and therefore, it would be a waste if we don’t look into this matter. Like raising puppy, raising kitten is also not an easy task. Raising kitten or training cat is hugely different than raising puppy or training dog (guess we can’t use raising puppy tips for kitten then?). And therefore, for our lovely kittens and cats, let’s begin our top 25 tips of kitten care! 1. Do you truly ready to raise a kitten? This tip is already featured in our top 30 tips of raising puppy. And in case of kitten care, this tip is just as important. Why is that? To some extent, raising a kitten is much harder than raising a puppy. Kitten care seems to require more attention, especially newborn kitten (check out tip 2 for more details). Kitten is also like a “fur-ball of energy” and this little guy (or girl) can easily get into trouble if we lack attention. And so, kitten care is a work of great responsibility. Unless you are ready (and so too your family), adopting a kitten to your home is not recommended. These “little fur-balls” are cute, but they also bring troubles, so be ready if you’re willing to raise one. If you ask most cat trainers or owners, most of them will suggest you to adopt kittens with at least 8 weeks of age. The reason is: newborn kittens lack lots of physical capability. They can’t regulate their body temperature by themselves, their vision and legs are still in development. In addition, if a kitten is separated from its mother too soon, it often has the feeling of insecurity. Therefore, these kittens require its mother and normally they are only ready to be adopted when they are 8 weeks of age or more. However, if “destiny” gives you an orphan kitten, check out tip 3. As mentioned, newborn kitten with less than 8 weeks of age is still developing their body. So if it is unfortunately not took care by its mother, you will have to take that “cat mother” role. You will have to do special care, such as bottle-feeding your kitten every two hours within 4 weeks of age. For better kitten care, you should consult a vet as soon as possible. 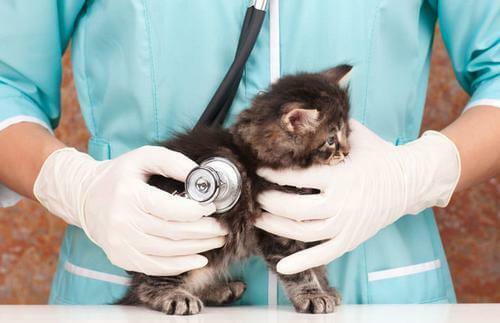 Check out your kitten’s health condition (sickness, physical condition, vaccinations, etc…). 5. What to ask? What to ask? Food recommendation, food portion, and how often to feed. How to keep kitten safe. How to socialize your kitten. Book your future visits and vaccinations for your kitten. When a kitten arrives at new home, it’s necessary to give it a quiet and safety feeling. The best way to provide this is to prepare your kitten a room. A kitten room should have water and food dishes, litter box (get it ASAP), and confortable resting bed. Litter box need to be placed far away from food and water dishes since cats don’t like these two things near each other. One of the reasons why kitten care requires much attention is that kittens are so curious and energetic. 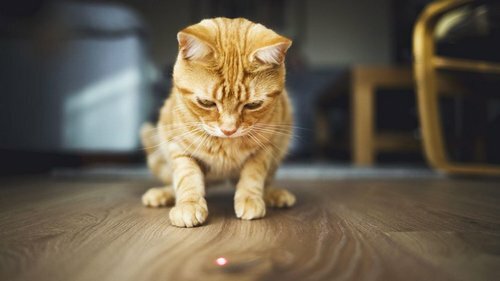 Their “fascination of new things” can bring them trouble, such as cords, vines, plants (some plants can be dangerous for kittens), medicines, small or tiny items, etc… Therefore, remember to get them out of your kitten reach. In addition, think of a way to block areas which you don’t want your kitten getting in. After all, carefulness is never a waste. From 8 to 11 weeks of age, kittens are extremely energetic and so they require more nutrition than matured cats. The “easiest” choice would be quality brand food, specifically for kittens. There are several food criteria like: high calories and nutrition, protein rich, dense, and easy to digest. If you are still not sure what to get for your kitten, consult your vet ASAP. This may depends on different situation so therefore, you should ask your vet about kitten feeding schedule. Normally kitten of 3 to 6 months of age should be fed 3 times a day, then possibly 2 times a day when it reaches 6 months of age. A clean water bowl is also recommended and it should be filled constantly. But remember though: no milk! 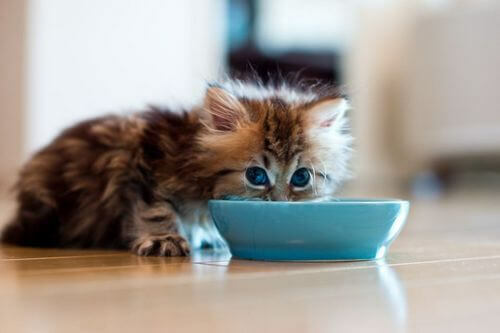 No doubt that milk is delicious and kitten may like it, however, it can cause stomachache to kitten. Who doesn’t want to cuddle a cute kitten? Kitten is adorable and it makes us want to cuddle her. Fortunately, it is what a kitten needs during young age. Naturally a loving kitten always grows up to a “better lady”, and as its “fake parents”, we always want to see that. 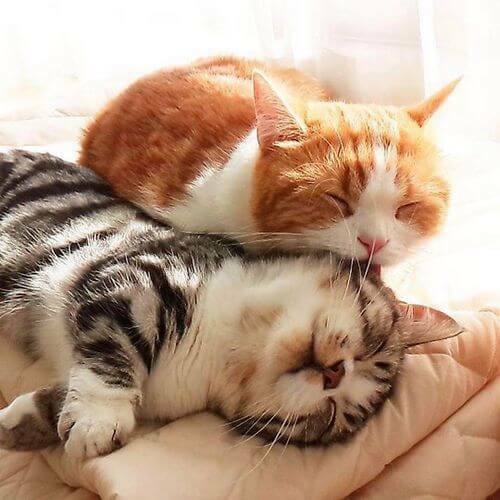 Besides cuddling, we can do other gentle activities to show love, for example petting, sweety talking, holding, and kissing. And remember: no matter what you do, show your love and affection every day. You will not regret your effort. Of course, not all kittens are used to these activities at first. We can’t judge them being afraid either. But with patient and loving attitude, our kittens will get used to it and eventually they won’t have any issue with those loving activities. Now this is important. Even if you live alone, sooner or later your kitten will have to contact to the outside world. Which means it will have to interact with tons of unknown people. Therefore let your kitten interacts with other people early, including yourself. Researchers discovered that the period of 2 to 7 weeks of age is normally a “sensitive” time. Kittens which have more human interaction during this time will have better affection towards human in the future. Therefore, let your family members and your friends come and interact with the kitten. Besides, who can say “no” to that offer? Agree that human interaction is necessary for kittens; however, during early age kittens may not feel that easy to interact with people. They may need time to gradually get used to human presence (including you). One suggestion is that taking it easy, gradually introducing your kitten to each of your family members, and then with your friends. 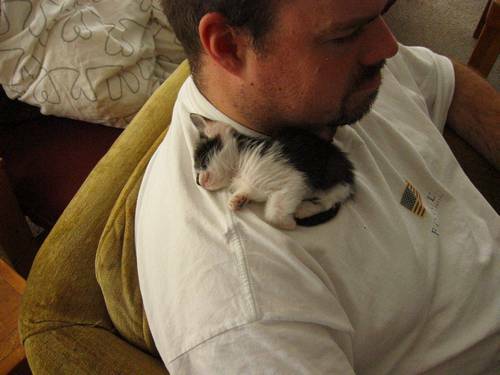 Your kitten will like to be with human in no time. For human kids, dogs and cats are always something fascinating and fun to play with. Unfortunately, not all kids know how to play with kitten the right way. As we mentioned above, early-age kittens may not feel easy with human around. 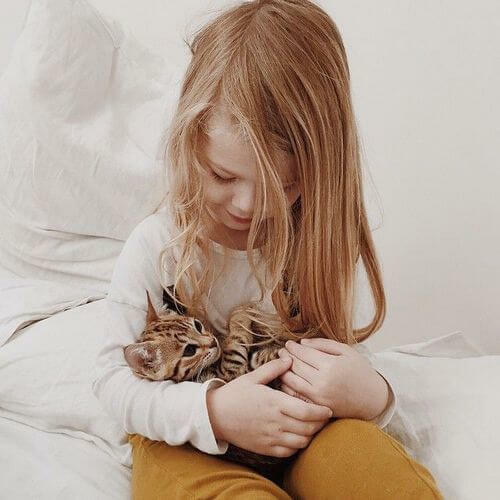 And if children play with kitten roughly, it will start to feel afraid of human. Therefore, this may sound sad but, it is best not to let children playing with kittens unless they know how to do it gently. Getting to know human is one thing, but knowing other pets is also essential, especially if you are raising another pet like dogs. If you already have a cat, it’s recommended to separate your cat and new kitten. They may feel afraid or anxiety at first and this is not a good time for them to meet. When you kitten is calm, you can let the two know each other for a short while, with your supervision. In case there is sense of aggression, separate them immediately. Dogs on the other hand, can be quite aggressive to kitten. Again, let your kitten meet your dog, provided that your dog is leashed. Let them meet each other for a short while so that they can scent each other. Gradually they will ready to be friends. One thing to note though: don’t let kitten alone with your dog, it will be a bad sign. For safety, always supervise your pet and new kitten until the kitten fully grows up. 15. Introducing to a whole new world! First and foremost, make sure to check kitten’s health condition. If she is healthy then we can start to introduce it to your home. We can introduce our kitten to each room. If she jumps to any forbidden areas, we should place our kitten back to the floor. The kitten may also hide under beds or behind the fridge, so try to be calm and patient. Next, we can also introduce her to the outside world. Again, it’s best to check whether she has any health problem first. If everything is good then we can let her travel with us. 16. Don’t forget kitten toys! Kittens like to play, no doubt! And luckily, toys for kittens aren’t expensive and you can make them yourself if possible. It’s recommended to keep your kitten entertained with toys. There are some recommendations like: paper ball, string tied with small soft toy, empty cotton reel, and Ping-Pong ball. Digging, scratching is cat’s nature. But unfortunately our home is no place for them to digging like in the wild. Therefore, we need replacements like scratching post or scratching tray. 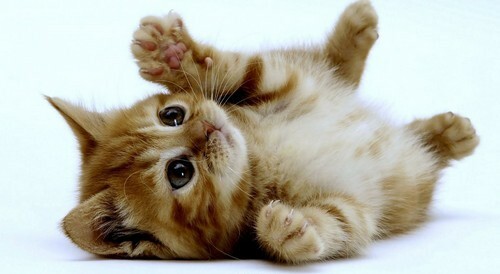 If you can attract your kitten’s attention by scratching on them, or luring the kitten with other toy. 17. Let’s make some noise! Kitten can be afraid of lots of thing, even common sounds like water or music. Because of that, try to expose your kitten to various sounds like music, vacuum, water, and TV. 18. It is play time with your master! This is another part of getting along with your kitten, besides cuddling. You should spend at least once a day playing with your kitten. This will tighten your bond with the kitten stronger and stronger. This is where things can be tough. After about 2 days of your kitten’s arrival, you should ask your vet to come and check the kitten’s conditions, including ear mites, fleas, and worms (especially ringworm since it can be contagious to human and other pets). 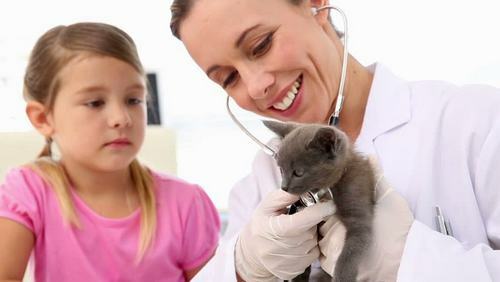 Within 6 to 7 weeks old, your kitten should get vaccinated against these respiratory diseases: FVR (feline viral rhinotracheitis), FCV (feline calicivirus), and distemper (feline panleukopenia). When your kitten reaches 9 or 10 weeks of age, she can be tested for FIV (feline immunodeficiency virus) and FeLV (feline leukemia). And at 12 weeks old, she can get rabies shot, which may be required by laws at certain regions. Normally after 8 weeks old, kitten can be neutered or spayed. However, the exact date can be decided by your vet. Neutering or spaying is necessary to prevent the kitten from going into heat or getting pregnant in the future. It also reduces the kitten’s fighting rate and more importantly, stopping kitten from spraying urine. This isn’t exactly required; however, it is a good to keep track of your kitten. By microchipping, your kitten will get an unique id indexed along with your contact details. In case your kitten gets lost or kidnapped, you can keep track of your kitten and prove your kitten ownership. 22. Don’t punish your kitten! There are some cases in which owners spray water or even beat kitten if she does something wrong. And our answer for that is: No! By all means, do not do anything offensive to your kitten. When your kitten has just arrived, she doesn’t know anything about this new environment. She may have some “unacceptable” actions but that is fine, we can teach her gradually. By doing something wrong, that doesn’t mean your kitten is bad. She is sensitive and she will know what she is not supposed to do. A firm “No” will usually be enough. Punishment is unnecessary and can be bad. Besides, who think punishment is a good idea anyway? 23. Be aware of sickness symptoms! As mentioned before, a newly-arrived kitten will not know better than you or your other pets do. If she does something unaccepted, stop it as soon as possible (but please again, no violence of all sorts). Kitten is often aware of your reaction and she will eventually understand your rule. Therefore, try to stay consistent; rule can’t be followed right off the bat. It requires time and patience. 25. And remember, have fun and love! Some people may feel interested in raising kitten at first. But gradually after several “annoying events”, they may feel tired and bored of kitten care. That is understandable since this is not supposed to be a piece of cake anyway. But think again, why we want to raise a kitten anyway? Isn’t it about to have fun and experience caring feeling? Of course things can be hard, but with effort and positive energy, we will soon see the fruits of our effort. And that’s it folk! Thank you and have fun with your cute kitty! Stay tune for more news in the future! Pingback: Top 10 Most Wonderful Cute Cats in the Feline World! Pingback: Know Your Furry Friends: How Cats Show Affection?